NOW OPEN: Get Up To 4 Weeks FREE on Select Homes + $1 Move In Fees! Once a year, Denver puts on a spectacular even filled with shows and workshops all centering around the fashion industry. From the apartments for rent in Denver, CO, this week-long indulgence of style and design is just outside your door. Here’s everything you need to know about the event. 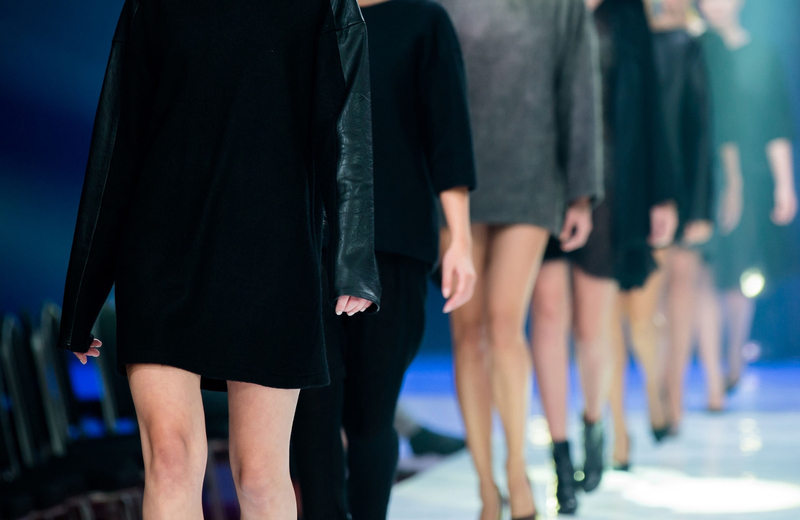 What is Denver Fashion Week? DFW is a showcase of the year’s finest fashions, and the largest event of its kind in the city of Denver. In true Mile High style, the event promotes the area’s community by placing an emphasis on emerging designers and local boutiques. National brands are also featured, along with hair stylists, models, and makeup artists. The goal is to promote these unique artists and their work, as well as help the event’s sponsors gain recognition. In doing so, DFW increases economic development for the fashion and design communities through a heightened level of awareness and media impressions. This event retains the high-class appeal of any other luxury fashion event, which has helped make it a hit success year after year. If you have an eye for style and design, then this is one event you won’t want to miss. Immediately afterword, a red-carpet cocktail reception for the Local Designers Fashion Show begins. Doors close at 7:30 p.m. for this event, which is held at the same location. Topping Designs, Rachel Marie Hurst, and Mono Guerra are just a few names featured this year. The next day features a Models Workshop where you can learn how to prep an individual for DFW casting, how to walk down the runway, and how models are chosen for events. It’s a unique insight into the work behind this incredible week. This two-hour workshop begins at 6:30 p.m. in the McNichols Civic Center Building. The Designer Workshop is held the following day in the same building, also with a 6:30-8:30 p.m. timeframe. Guests will learn detailed information about what designers do through Carol Engel-Enright, Colorado State University’s Ph.D of Department of Design and Merchandising. Wednesday’s event is the Fashion and Film Workshop, which features a discussion with Courtney Hoffman (a regular costume designer for Quentin Tarantino). Kevin Copenhaver, the Center for the Performing Arts’ costume designer, will lead the discussion with Hoffman. This event is also held in the Civic Center building from 6:30-8:30 p.m.
Street Style Fashion Show – Thursday from 6:30-8:30 p.m.
National Designers presented by Garbarini – Saturday from 7-8 p.m. The Hair Show – Sunday from 4-5:30 p.m.
Tickets to the Denver Fashion Week are broken down by event. Each show and workshop requires a separate ticket, which you can purchase from Eventbrite via this link. Depending on the seats you choose, pricing ranges from $20 to $100. Several retailers and stores throughout Denver will also host public events. Tommy Hilfiger features a free customized tote and places their line of denim clothing on display. Johnny Cupcakes Pop Up Shop offers tees, sweatshirts, hoodies and more with a free gift for all who stop by. For $25, you can also experience the magic of a professional studio with Co-Lab SHOOT. So, if you can’t attend every show at DFW, you can still enjoy plenty of fashion throughout the city. It’s not to late to participate in this year’s DFW! Volunteers, sponsors, and those looking to promote their brand can fill out the sign up forms on the website’s “Participate” page. Those looking to cover the event can sing the Press Pass form on the same page. Nearby the locations hosting the DFW rests The Henry, an artful living experience by design. Located in Platt Park, a neighborhood long revered for its artistic spirit, these 403 homes feature inspired architecture to create a unique place to call your own. Combining the area’s tranquil parks and hip city bustle, you’ll find that The Henry expertly blends the best of the Mile-High city into luxurious experience. Each home at The Henry features the finest in modern finishes. Quartz countertops accentuate stainless steel appliances, while Nest Learning Thermostats help reduce your carbon footprint. Wine fridges and oversized balconies make for relaxing evenings with scenic views of the city. French door refrigerators, walk-in showers with built-in benches, and double vanity sinks add the finer touches of luxury living within your home. The surrounding community features various on-site amenities designed to cater to your every need. Stay active in the state-of-the-art workout room with on-demand technology or the private yoga studio, entertain guests with the fully-enclosed theater room, or relax after a long day at the pool and deck spa. Residents can take care of the day’s business dealings in a co-working area with private presentation rooms, or get to know one another in the al-fresco areas with BBQs and lawn games. Enjoy features like Amazon lockers and EV-ready garage spaces that take care of the smaller details in life. Treat you furry friends to the pet spa and private dog park. Everything you need is right outside your front door. We invite you to experience the Platt Park community from the comforts of luxury and style. Welcome to an elevated sense of living. Welcome to The Henry. Submit your contact information and we’ll be in touch with you soon to assist you in finding your perfect new apartment home at The Henry. © All rights reserved 2018, The Henry.